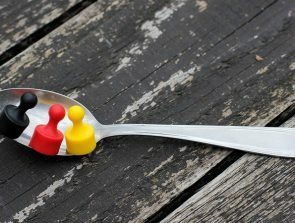 If you’re into 3D printing, then you have probably realized that the smallest details can lead to significant results. A slight deviation of your build platform from a level position can result in poor bed adhesion, a small moisture bubble in your filament can cause a jam in your nozzle, and a mismatch between your extruder and heating settings can cause a filament to deform inside the print head. 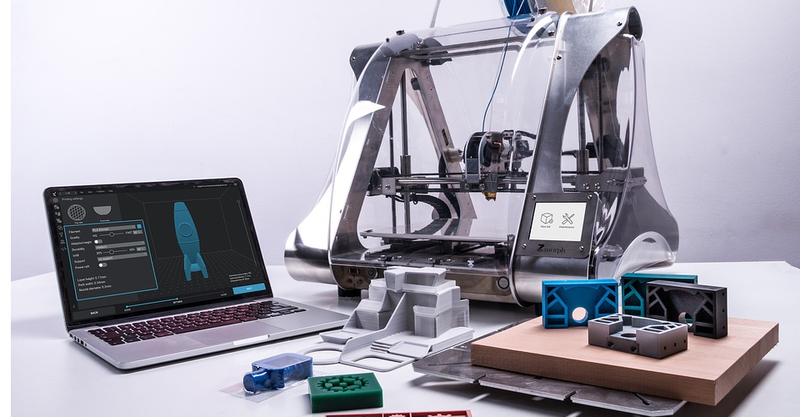 Experienced 3D printing professionals have learned to look into the smallest details to see where things can go wrong and how the process can be improved. An example of a minor detail that can prove to be useful is the density of the filament material that you are using. Why does density matter? In this article, we’ll focus on one of the most popular filament materials used today – PLA. What is the density of PLA and what can you do with this information? PLA – along with ABS – is one of the top two most commonly used plastic filament materials used in the field of 3D printing using Fused Deposition Modeling (FDM) technology. PLA stands for polylactic acid, a polymer with building blocks (or monomers) made from lactic acid. The process of PLA manufacturing was improved by using lactide as a raw material instead of lactic acid and utilizing a ring-opening polymerization process. The result of this improved method is a more chemically stable and durable high-density PLA. One of the most distinct characteristics of PLA is the fact that it can be manufactured from plant material. The lactic acid precursor of PLA can be produced by the bacterial fermentation of any carbohydrate source. These carbohydrates are naturally abundant in the form of starch, sugars, or even waste materials such as grain hulls or plant stalks. The fermentation process has to take place in controlled conditions to allow for the total isolation of lactic acid. The key takeaway from this is that PLA is one of the few plastics that can be produced from sustainable sources. This is in contrast with standards that are derived from non-renewable petroleum products. Another outcome of PLA’s unique chemical composition is that it can be organically broken down into its lactic acid components. Lactic acid is a weak acid that is relatively benign can be safely absorbed by the environment. The biodegradable characteristic of PLA has made it a “guilt-free” alternative to traditional plastic products that persist in the environment for decades and frequently end up ingested by sea animals. The bioactivity and biodegradability of PLA have made it an extremely popular material in the medical field. Sutures and implants made from PLA can be naturally broken down and safely absorbed by the human body. Large-scale manufacture and adoption of PLA products have started to become more common in the past few years, driven by consumer preference for more environmentally friendly products. 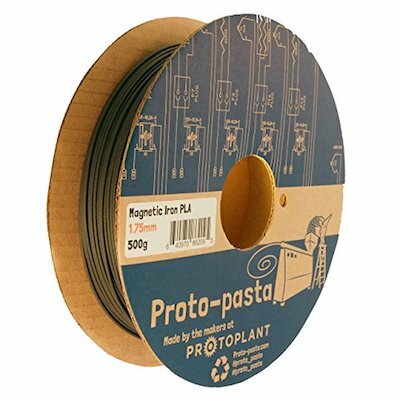 Why is PLA so popular as 3D printing filament? There are a couple of reasons for why PLA has remained as one of the most popular filament materials for 3D printing for but it all boils down two points: affordability and simplicity. 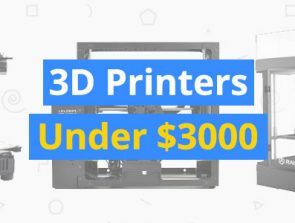 PLA is incredibly cheap. You can get a 1-kg. roll of PLA filament for less than $20, and that’s for major-brand products. You can certainly find cheaper PLA filaments, although you run the risk of using a poor-quality product. The second factor that makes PLA so popular as a 3D printing filament is that it’s so easy to use. PLA melts at a relatively low temperature of 150 to 160 °C. Because of the low printing temperature, PLA manages to avoid commonly encountered issues such as warping or stringing. 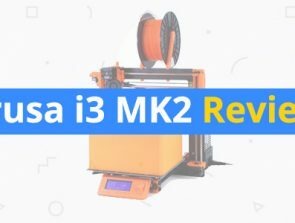 If you’re printing with PLA, you probably won’t need a fancy 3D printing setup or additional accessories. PLA is also not known to produce any noxious fumes during the printing process. The biodegradable characteristic of PLA has also played a part in making it a popular material for 3D printing. 3D printing hobbyists, especially beginners, can go through a ton of misprints before they perfect their technique. If you were printing with standards plastics such as ABS, these misprints would probably end up as solid waste and stay in a landfill for the next couple of decades. With PLA, you can have the peace of mind knowing that the misprints can be disposed of in some compost and naturally degrade over a couple of months. Density is a fundamental physical property of an object that relates its mass to its volume. The density of a material may vary based on prevailing temperature and pressure conditions due to contraction or expansion of the material. This effect is much less pronounced for solid materials, such as our plastic filaments. For a PLA filament, the density can be easily obtained by dividing its weight by the total volume of the filament. While it’s easy enough to weigh an entire filament spool, getting the volume of a filament is a little more complicated. Getting the volume of the filament will involve multiplying the cross-sectional area of the filament with its total length. However, the diameter of a filament varies within a margin of error along its length, making it impossible to get a consistent cross-sectional area. Why is filament density important in 3D printing? Given that obtaining filament density data is quite complicated, why should we even bother with it? The answer is simple: it allows you to estimate just how much filament you need to print any model. Most slicing software can give you a rough estimate of how much filament material you’re going to need to finish the print. Depending on the software, this estimate can be provided in terms of weight or filament length. It is then up to you, the user of the 3D printer, to ensure that you load enough filament into the printer to finish the build. If you’re going to use a spool of leftover filament, the most practical way to estimate how much filament you still have is to weigh the spool. Of course, you need to subtract the weight of the empty spool (if you have one lying around) to get the weight of the filament. If your slicer software has estimated the material requirement in terms of weight, then you have no problem – you’re comparing apples to apples. On the other hand, you might hit a snag if your slicer software can only estimate the material requirement in terms of filament length. For instance, how can you tell if you have 20 meters of filament left on your spool? You can’t unspool 20 meters of the filament and measure it manually – you’ll probably end up contaminating the filament with dirt and oils from your hands. This is where knowing the density of your filament will be valuable. Knowing the density of the material and the weight of the filament remaining in your spool, getting the approximate length of the leftover filament is a matter of simple mathematics. What is the density of PLA filament? We left the matter of how to get the density of a filament hanging a while earlier, and for a good reason. The thing is, we don’t have to bother getting the density of our filament ourselves. Most filament manufacturers state the density of the filament in the product spec sheets. It’s not even a problem if the manufacturers leave out this detail, as it’s easy enough to look for the density value of any material online. The results show that you still have 11, 667 centimeter or 11.6 meters of remaining filament. 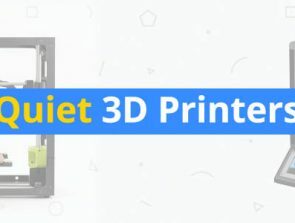 With this knowledge, you will be able to know for sure if you have enough filament to finish your print, regardless of whether your slicer software estimates the material requirement in terms of filament weight or length. There are a few caveats we’d like to mention when using this method. Calculating the cross-sectional area of the filament using the specified filament diameter is merely an estimate, at best. As we have mentioned, the diameter filament is not 100% consistent along its whole length, although variations are kept within a small margin of error. With this in mind, remember to give yourself an allowance when estimate filament lengths using the density method. If a build calls for 10.5 meters of the filament, then make sure you have at least 11 meters on hand to account for calculation errors. The great thing about this method is that it can be used for all types of filaments, as long as you can get density values for them. By playing around with the density values of different filaments, you will develop an appreciation for just how useful this physical property is. The density of ABS and HIPS is slightly lower than PLA. This means that ABS and HIPS filaments would probably be longer than a PLA filament with the same weight. To illustrate this, a 1.75-mm. ABS filament that weighs 350 grams (the same as our example above using PLA) would be about 14 meters long. At the opposite side of the spectrum are the high-density composite filaments that are typically made by infusing solid materials on a PLA matrix. Noteworthy examples are polycarbonate, which has a density of 1.30 g/cm^3, and the stainless-steel filament form ProtoPasta with an astounding 2.70 g/cm^3. If you had a spool of stainless-steel filament that weighed 350 grams and had a diameter of 1.75 mm., then it would only be less than 5.50 meters long. Density is an oft-neglected characteristic of 3D printing filaments that can actually be pretty useful with a little bit of understanding. Since most 3D printing professionals end up with several leftover spools of different filaments lying around, a reliable method of estimating how much filament is left in a spool can be valuable. However, simply weighing the leftover spool is only half of the equation – knowing the remaining length might be crucial, especially if your slicer software estimates the material requirement in terms of length. The procedure we have outlined above is a very simple but versatile method to check if you have enough filament to get through the design you want to build. Again, the method makes use of a few assumptions which may not be 100% accurate, so always have a bit of wiggle room when estimating your remaining filament. This method is an illustration of how small details can be leveraged to our advantage. When working with 3D printers, paying close attention to the details is one of the ways with which we can improve on our skills.